When you contact us by , we will write back with the details you need to know about engaging our services. We will ask you some specific questions to get to know you better and to compose your perfect wedding ceremony. Once it's prepared we send it to you for your approval. You can let us know if changes are needed. 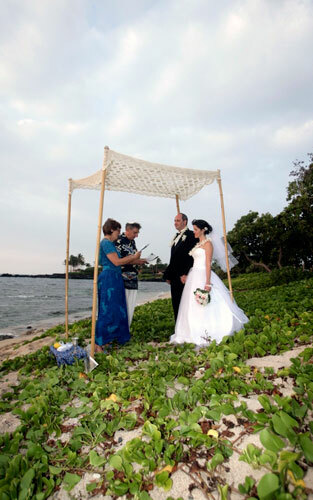 You may want to add your own heartfelt vows, favorite poems, blessings or other good wishes to the ceremony. The sooner we get started on this for you, the easier it will be for you and us. If you’ve never been to the Big Island, we can share lots of ideas and suggestions. If you’re already making arrangements with a hotel or resort here, we will work with your wedding planner to make this the perfect experience for you and your guests. 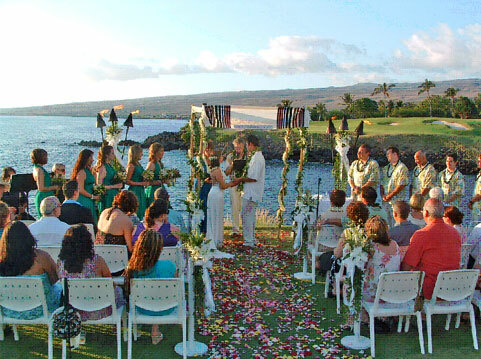 We’ve been performing weddings in Hawaii since 1996 and our Band has been performing for Jewish weddings and other celebrations since the 1970s.